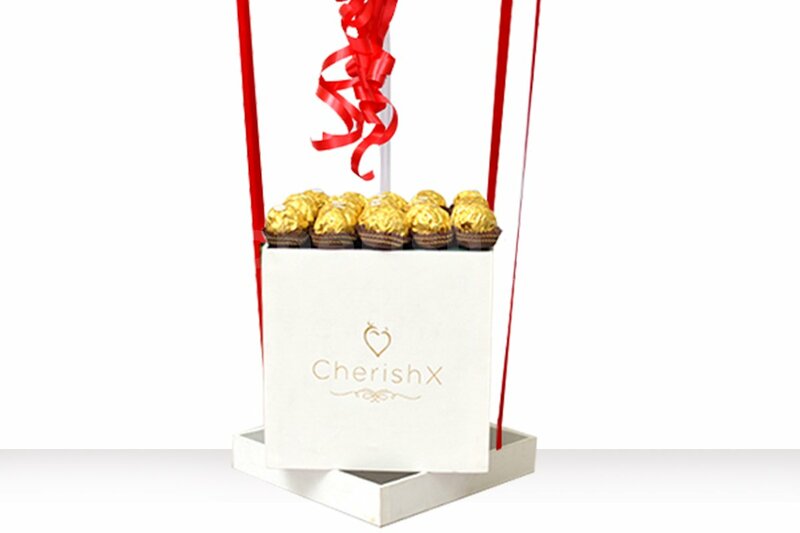 Surprise your loved one with an adorable Chocolate Parachute. Love gives you two options- you can be a bucket case or you can gift one! A bucket full of sinful chocolate delights that comes flying to your bae along with a parachute balloon. Love is always in the air! 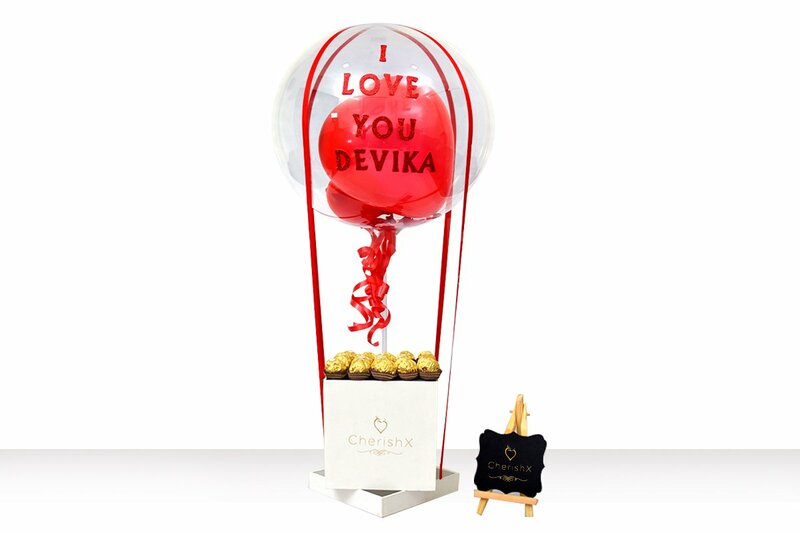 Which is why we have curated for you a special chocolate box bucket that’s creatively paired with a transparent balloon with ribbons placed to spoof a parachute. Consists of 25 Ferrero Rocher chocolates. Experience the contrasting layers of the chocolate, just like your relationship- a bit crunchy in the heart, delicious creamy in filling & a crisp wafer on the outer side. Pick it up for any occasion! Skip the drugstore version & wish your special someone in a unique & special way.